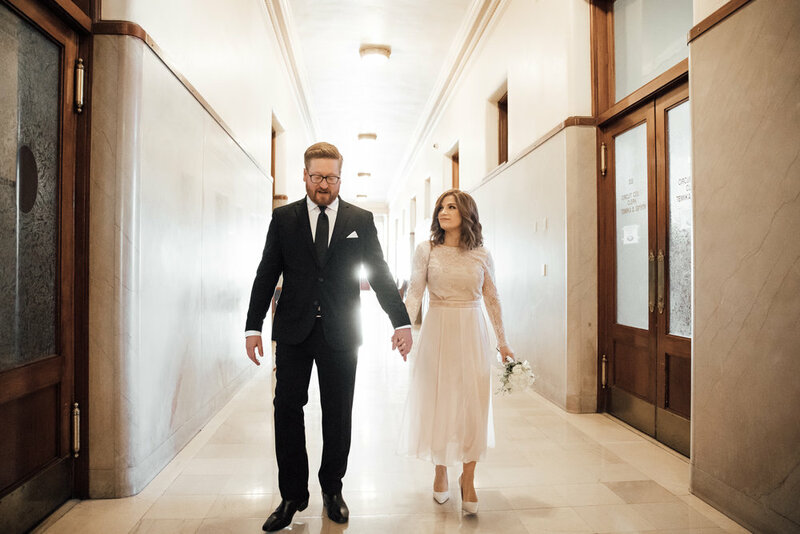 The night Amanda and Michael reached out to us we were actually on our way out the door to check out Art Bar at Crosstown Concourse for the first time. 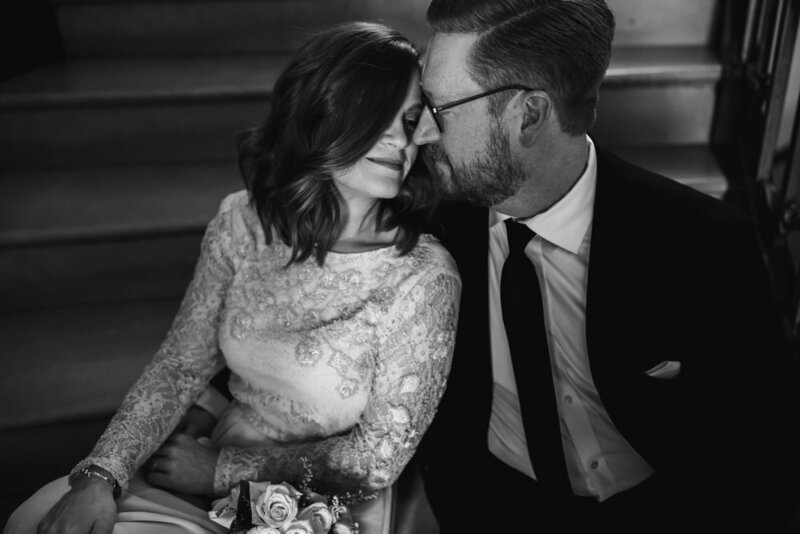 We responded to their email, and then went about our night as usual. 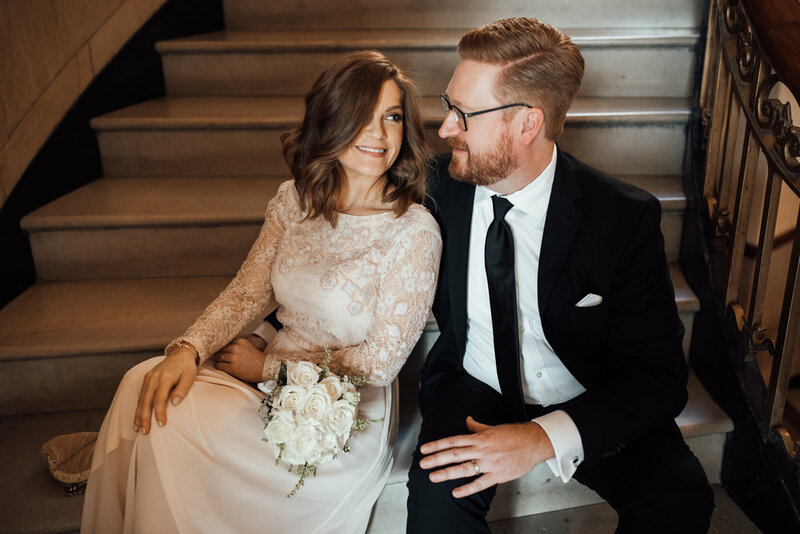 What we didn’t know is that the universe was dead set on us photographing their wedding, because upon arriving at Art Bar, we saw them sitting there, on a colorful mid-century modern couch sipping cocktails and chatting with friends. 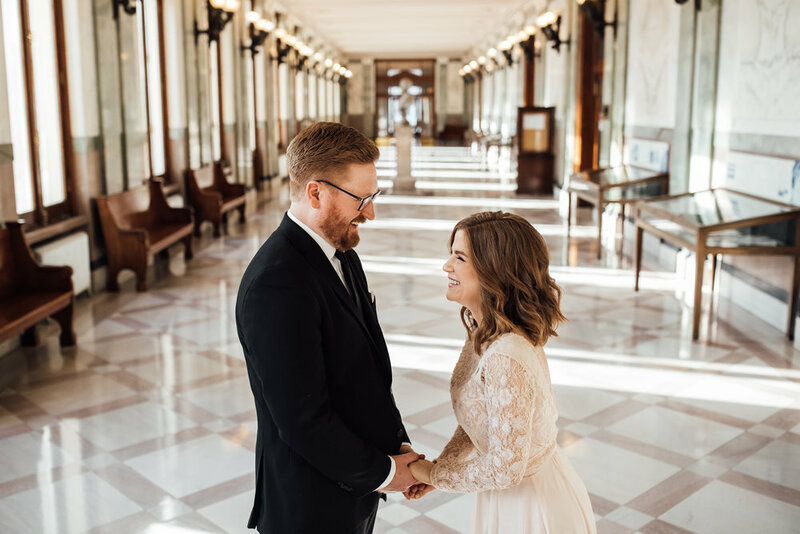 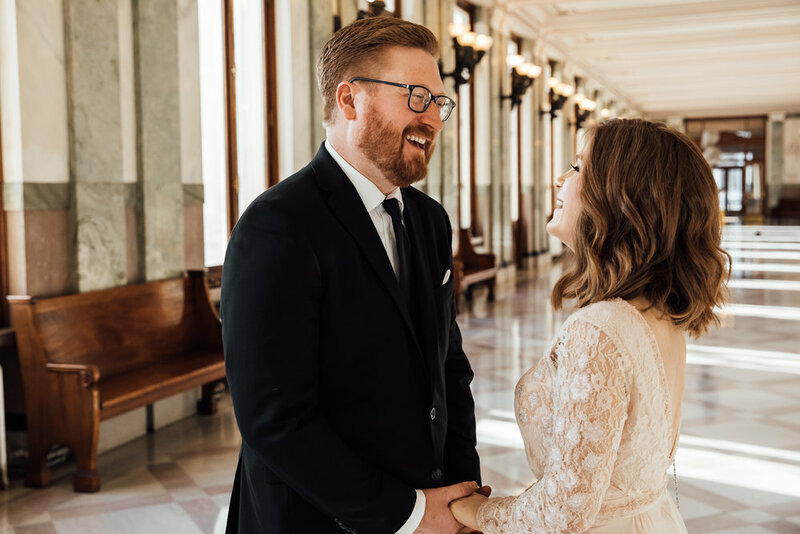 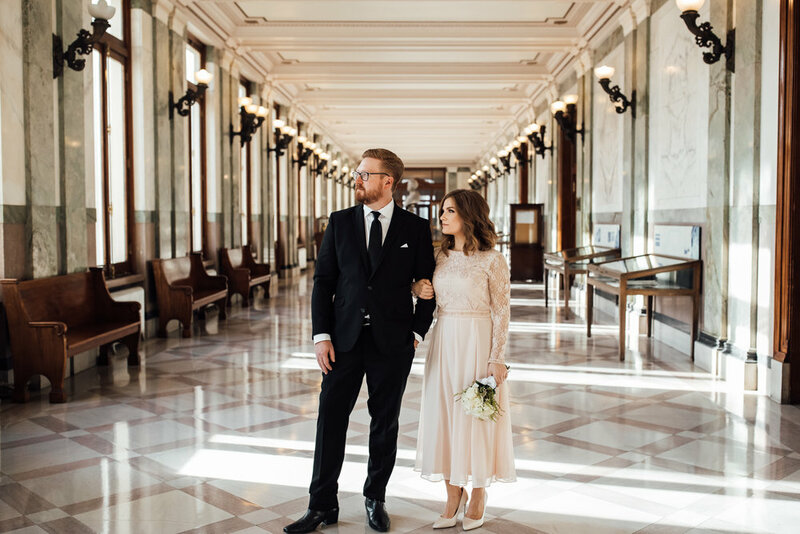 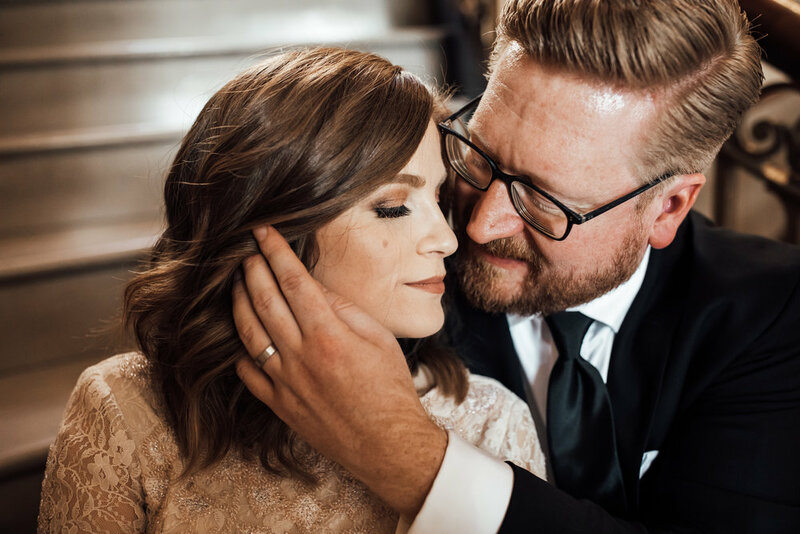 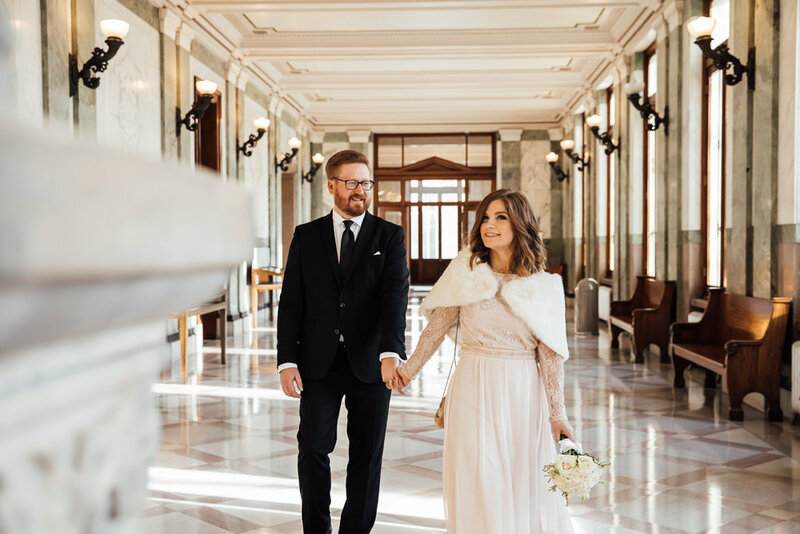 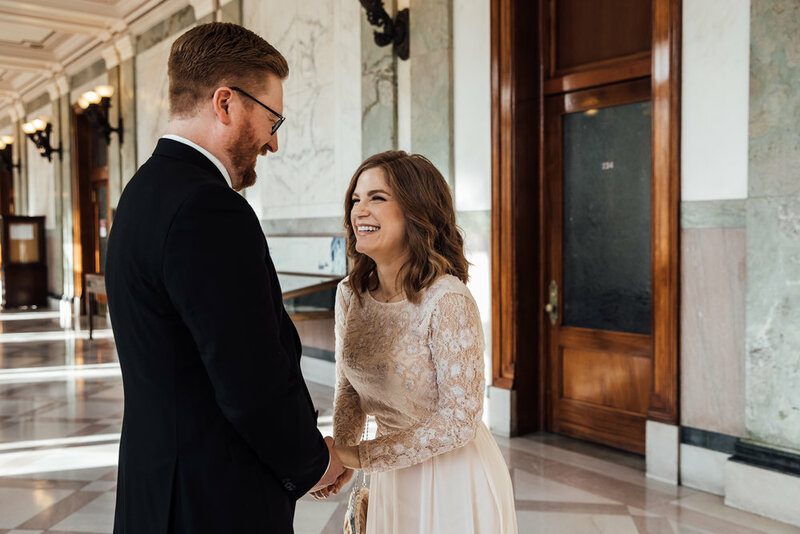 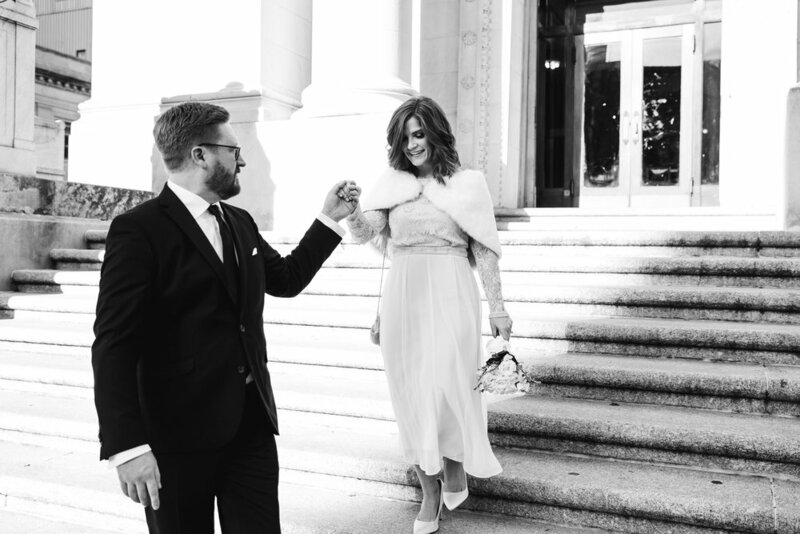 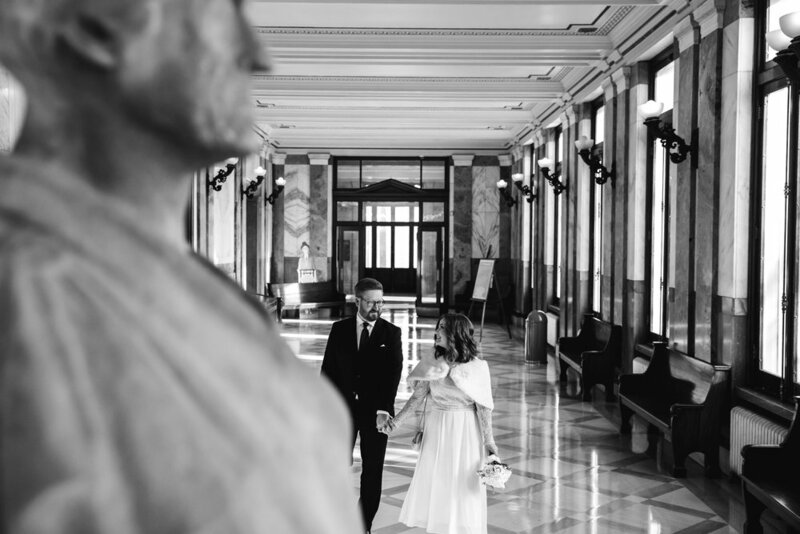 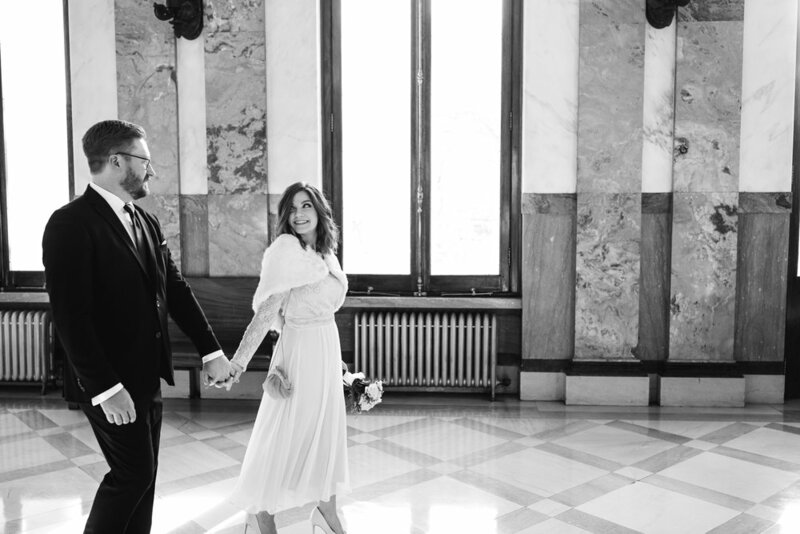 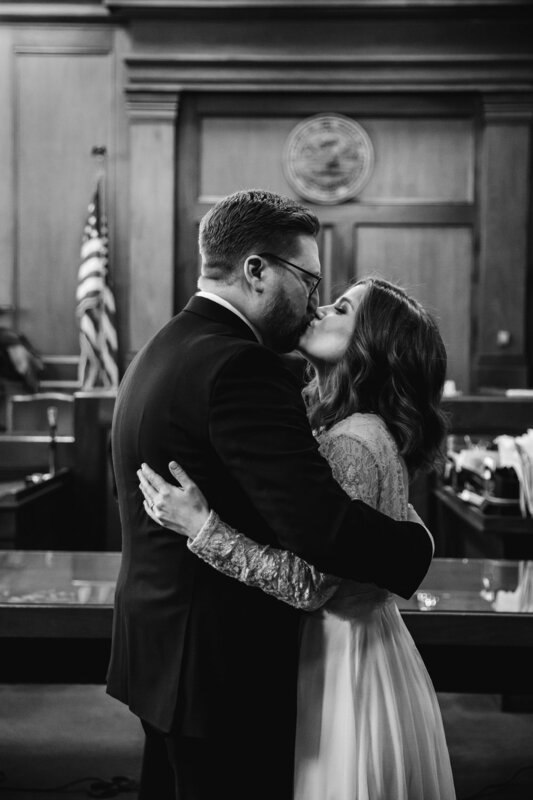 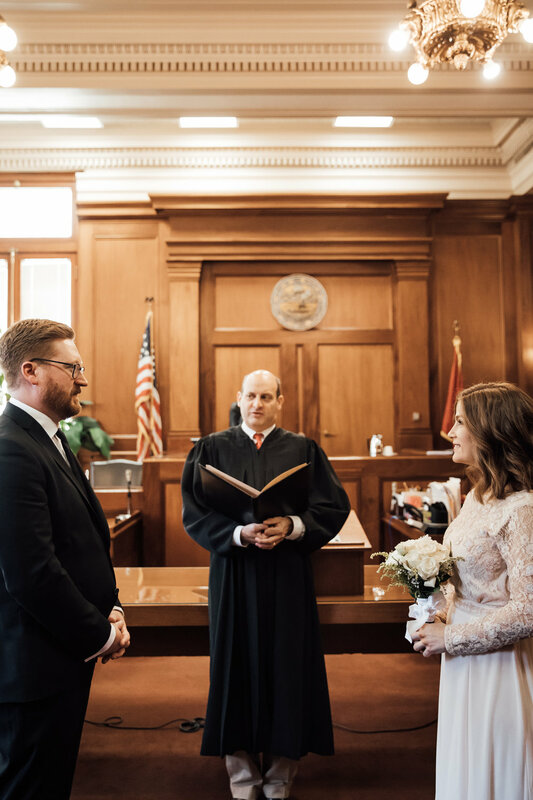 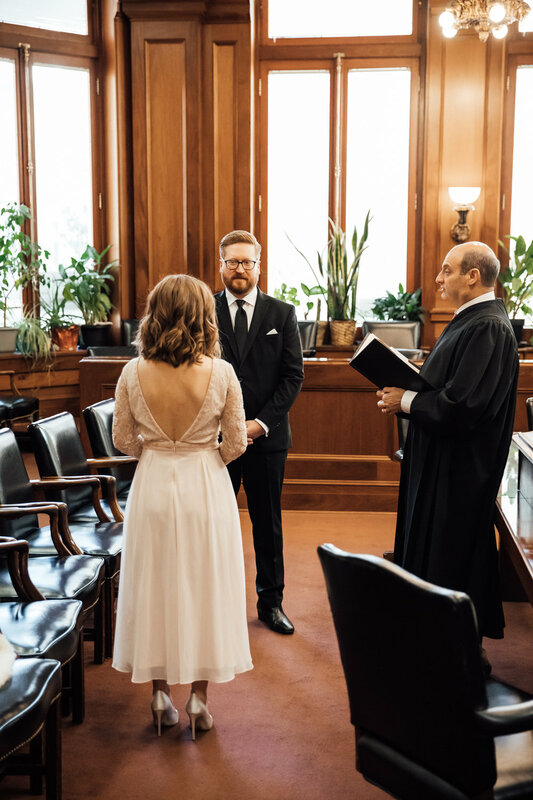 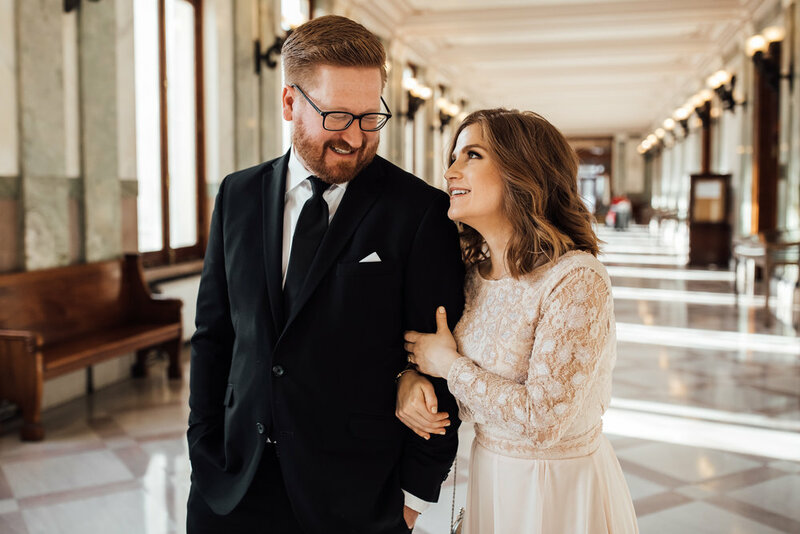 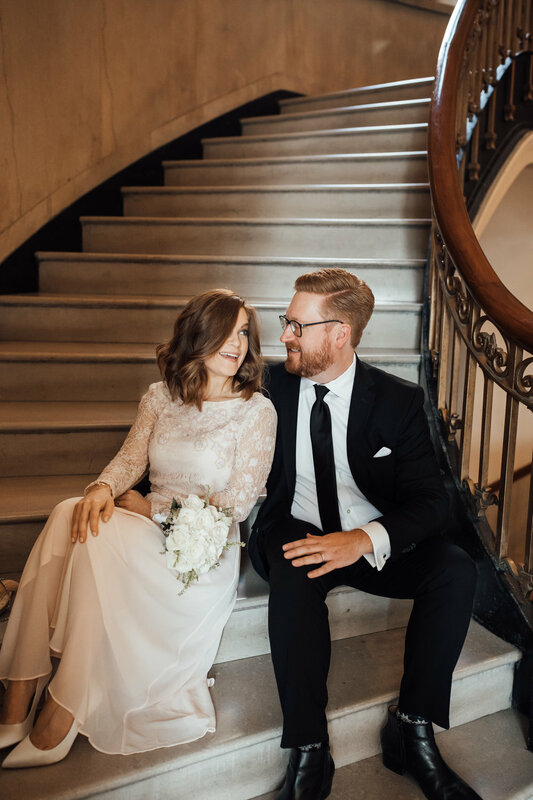 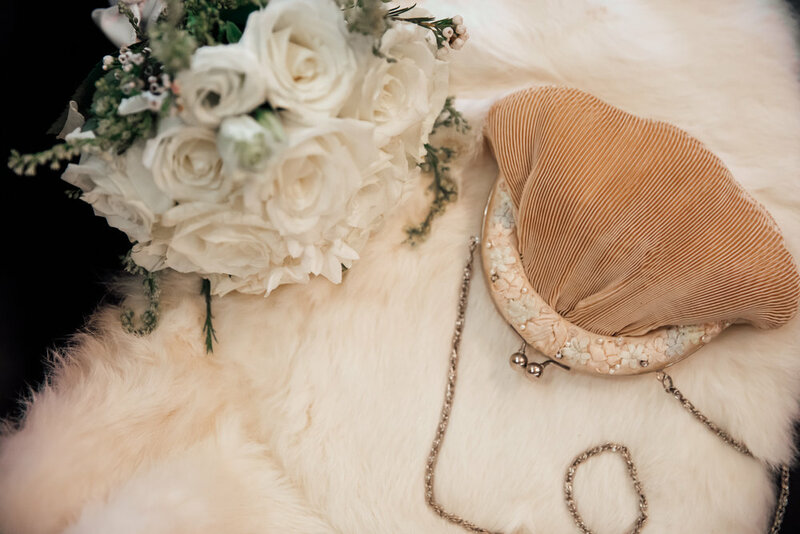 We awkwardly initiated the awkward we-just-emailed-you-two-seconds-ago conversation that led into them telling us a little bit about their wedding, and why they decided a simplistic courthouse elopement was best for them. 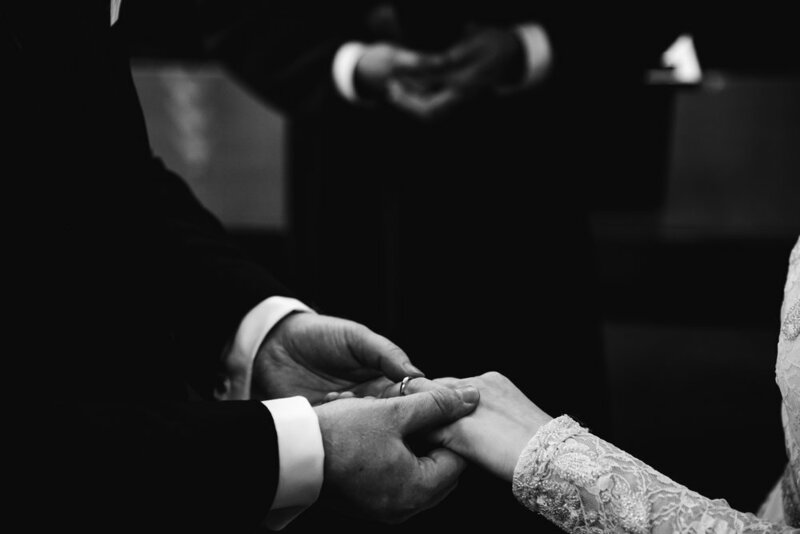 They wanted simple. 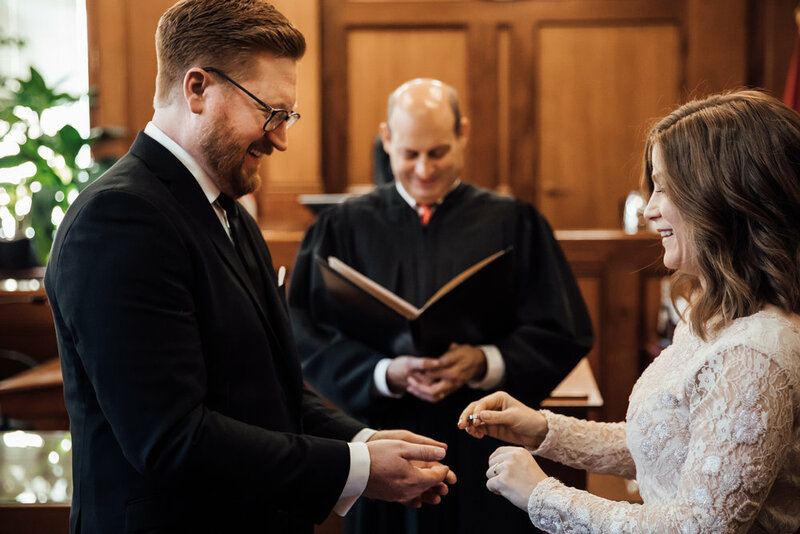 They wanted easy. 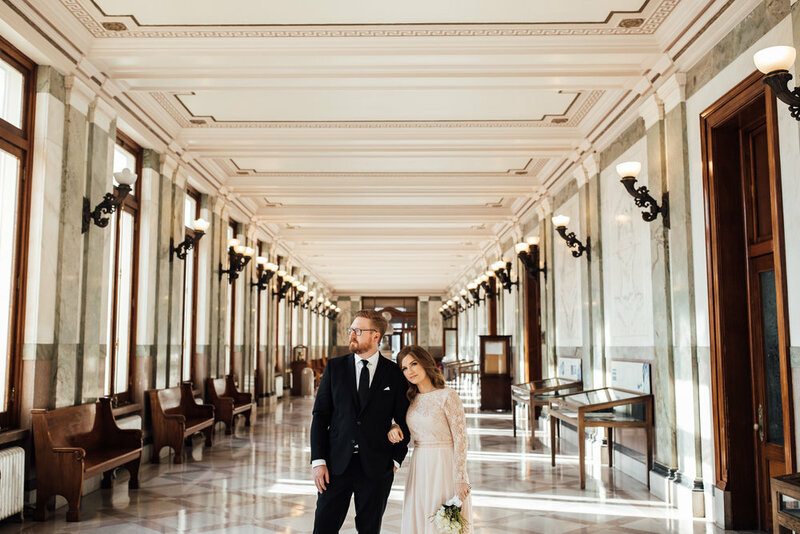 No frills, no fuss, nothing over the top. 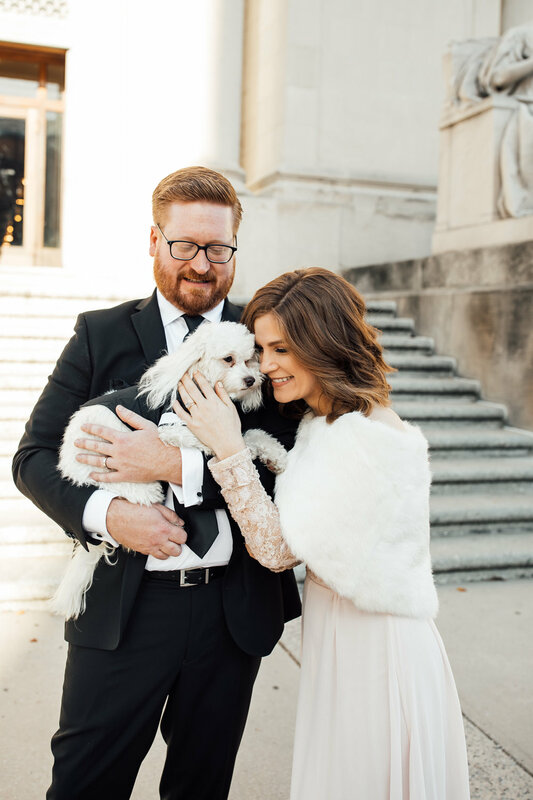 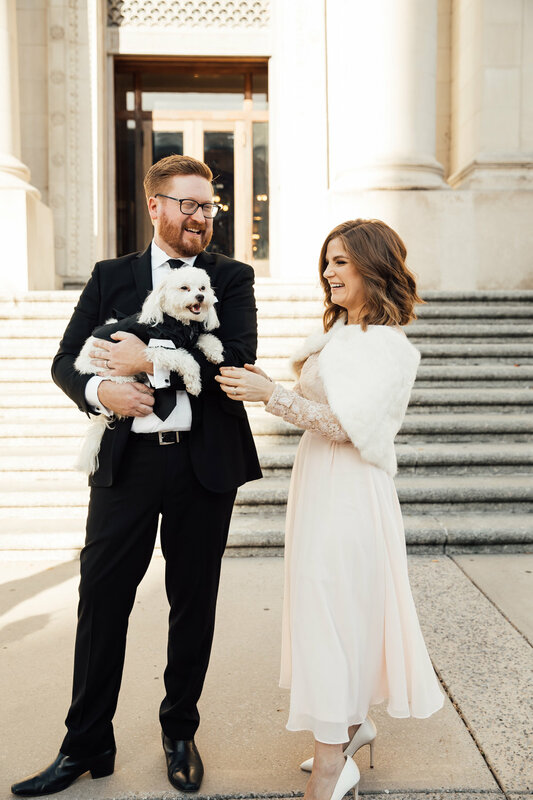 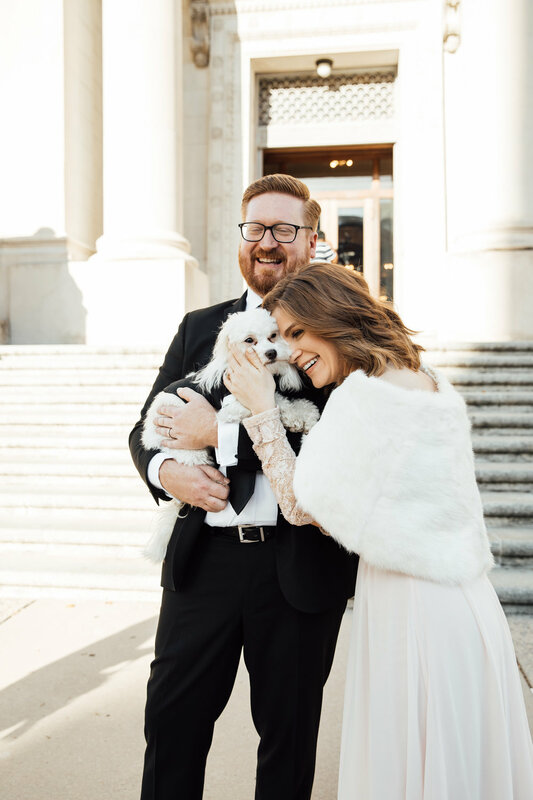 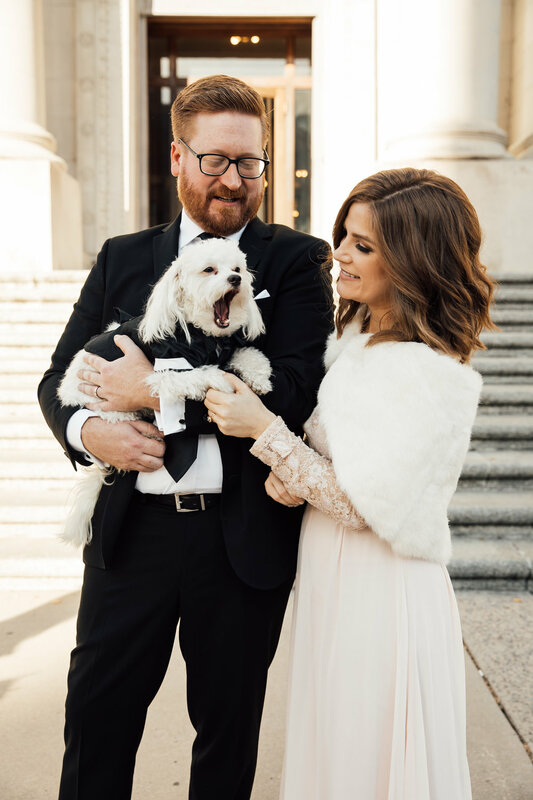 Just two people (and one pup named Wiler who, I must say, looked devilishly handsome in his tux) who love the hell out of each other and want to spend their lives together. 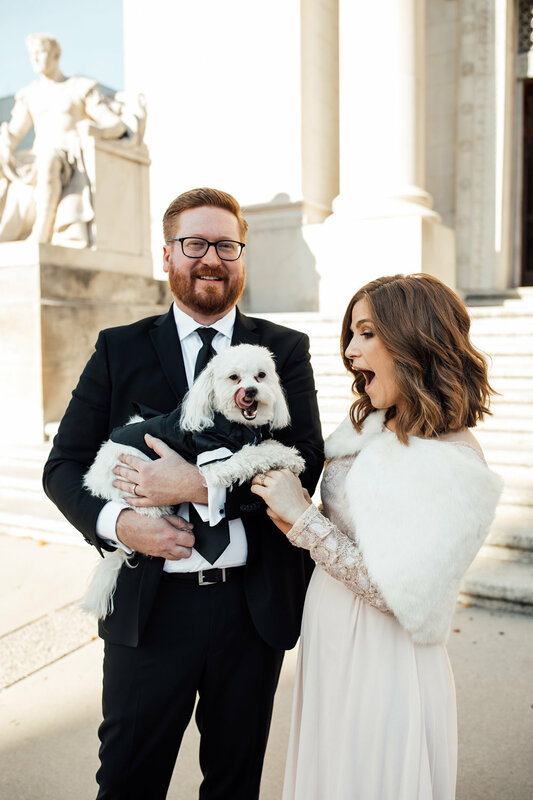 Amanda and Michael, I’m sorry, but you are stuck with us. 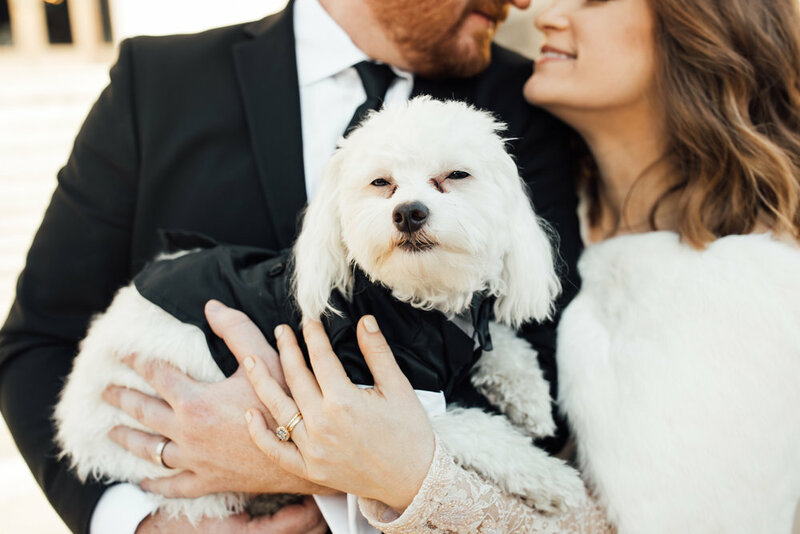 If you didn’t want to be our friend, you shouldn’t have let me meet your dog.